Fresh snow, excellent conditions. 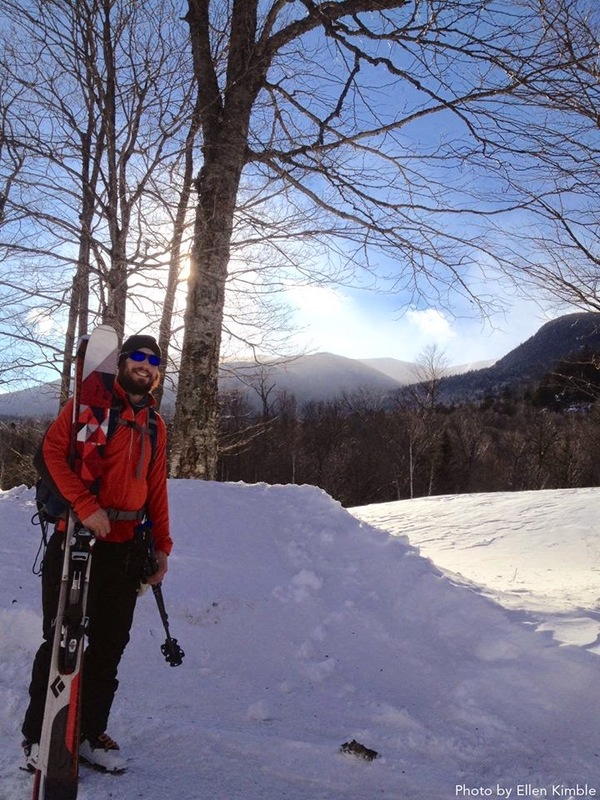 The snowshoe, downhill, and cross-country ski trails surrounding AMC's Joe Dodge Lodge and Highland Center in the White Mountains are in the best shape they’ve been all winter. 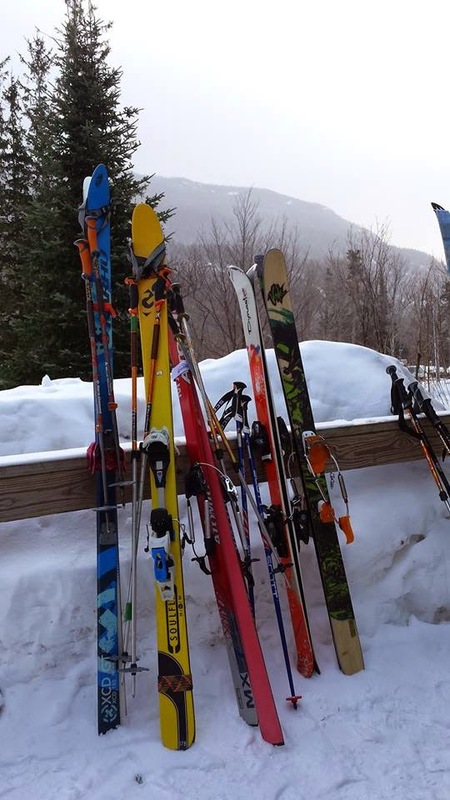 And in the Maine Woods, skiers are enjoying packed powder conditions across our lodge-to-lodge trail network. The only thing missing is you – so drop the shovel and come play! 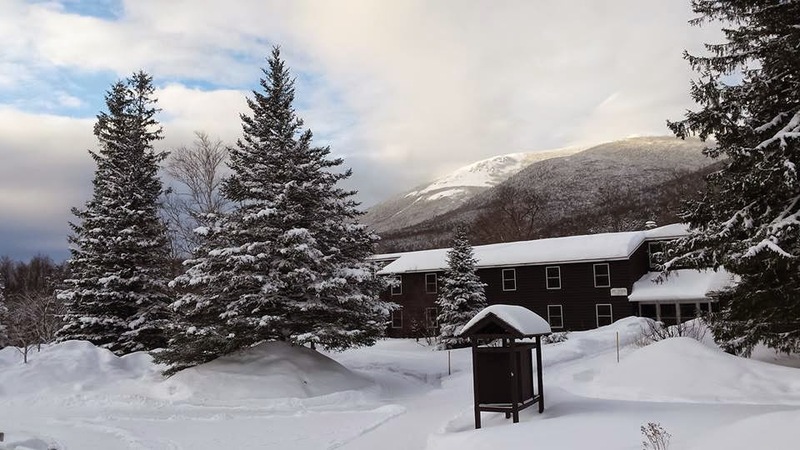 Powdery snow blankets AMC's Joe Dodge Lodge, 2/10/15. 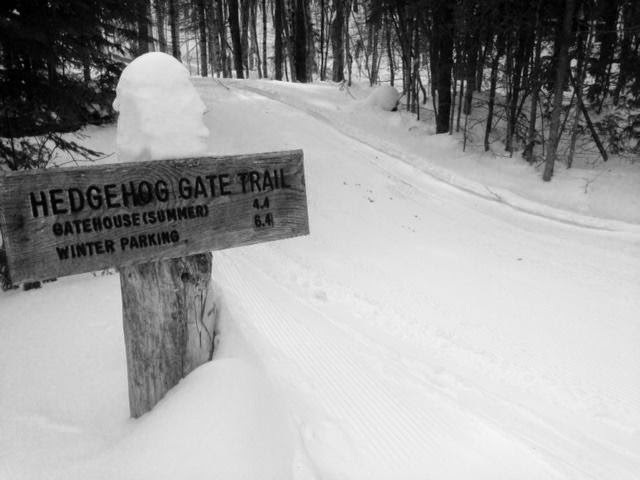 Joe Dodge Lodge is your launch pad for skiing the fabled John Sherburne Ski Trail. Photo 2/7/15. 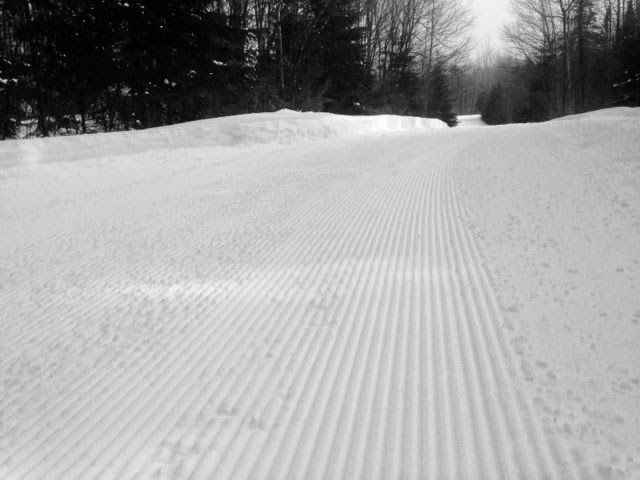 Crews at AMC's Maine Wilderness Lodges have been hard at work laying down soft corduroy. Photo 2/7/15. Snow-capped trail sign along AMC's Maine Wilderness Lodge's trail network. Photo 2/7/15.